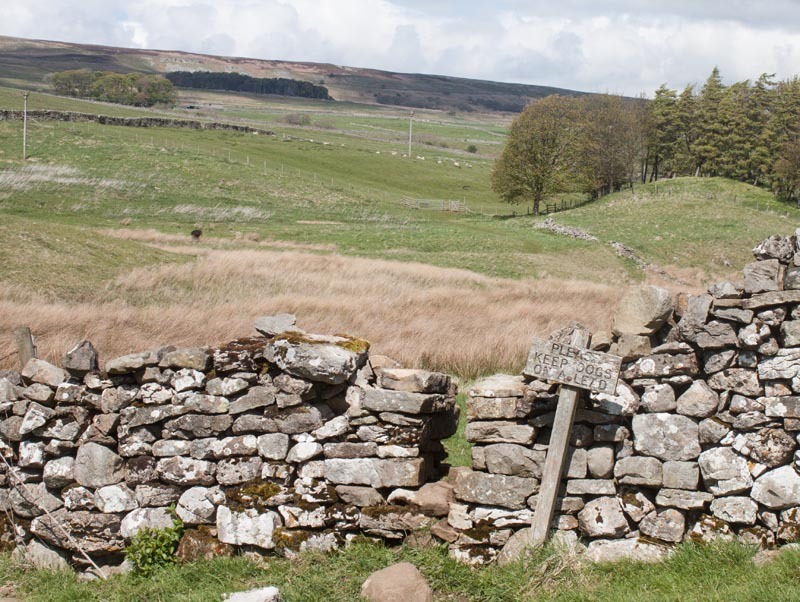 Maps: Explorer OL30 - Yorkshire Dales - Northern & Central Areas. Start & Finish: SE 033 918 - Castle Bolton car park (pay and display). 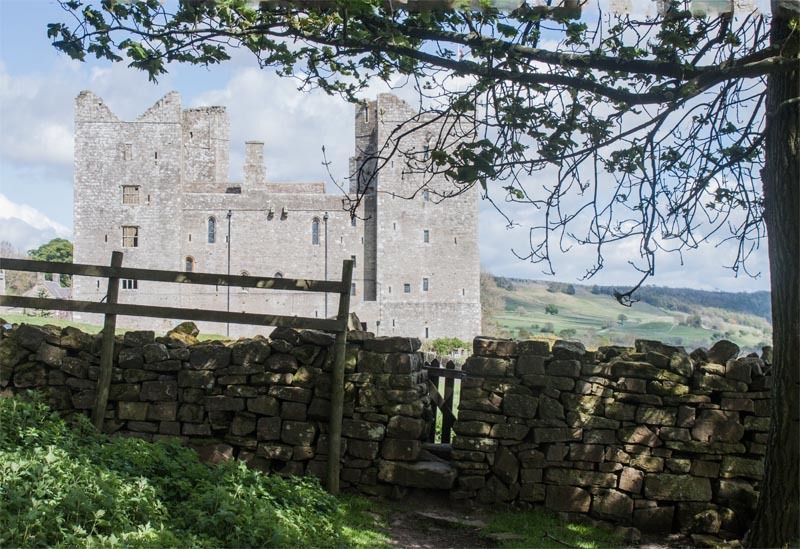 Route: The start of this circular route is the fascinating Bolton Castle, then the walk takes in fields, woodland, spectacular waterfalls along with interesting villages. 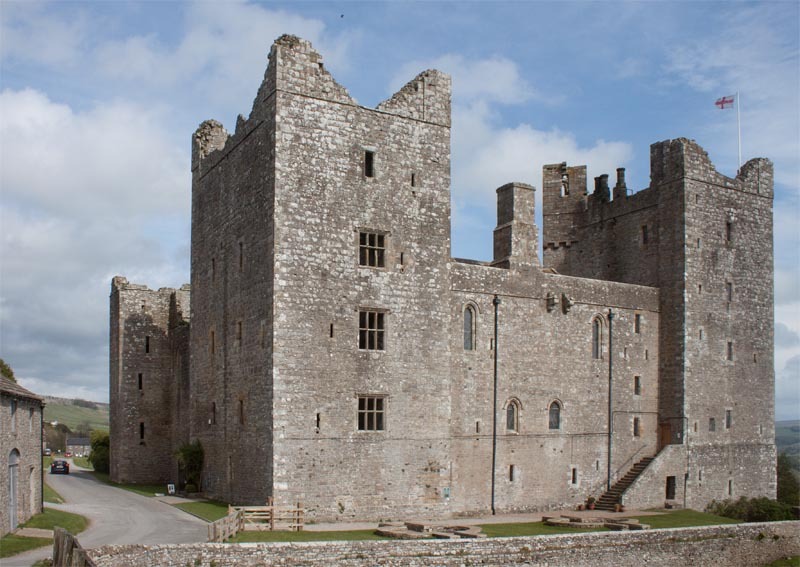 Bolton Castle - the castle's own website. 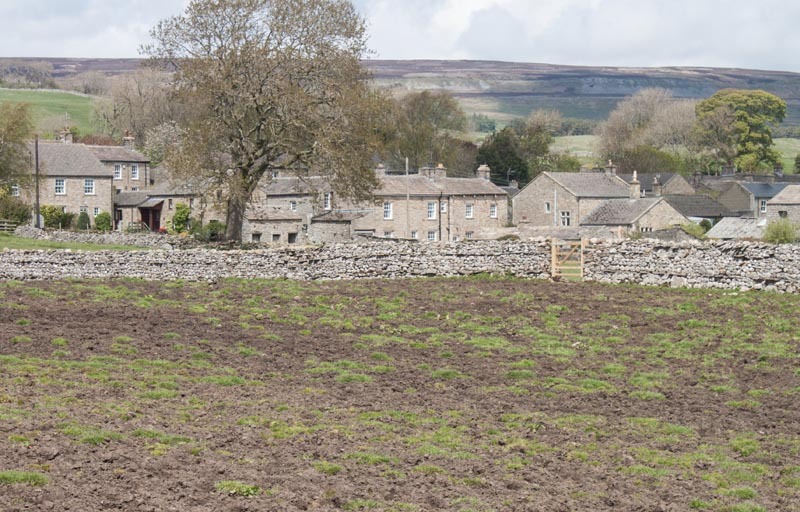 Lower Wensleydale - Lower Wensleydale Project - see this site information about the village of Castle Bolton and Aysgarth Falls. 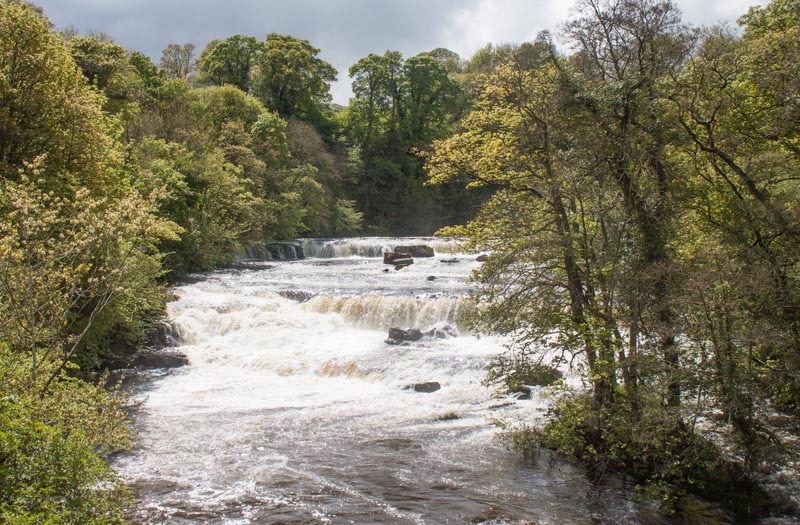 Aysgarth Falls - information from Wikipedia. Carperby - information from Wikipedia. 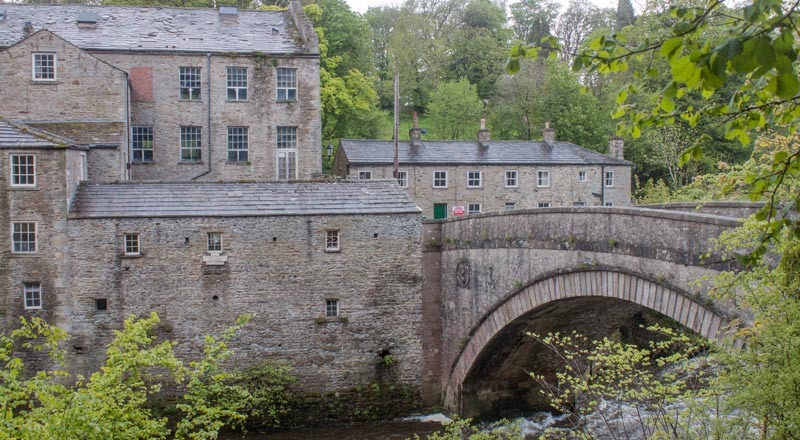 Refreshments: There are tea rooms at Bolton Castle, Aysgarth Falls Visitor Centre and at Yore Mill (by the waterfalls) as well as a pub in Carperby. 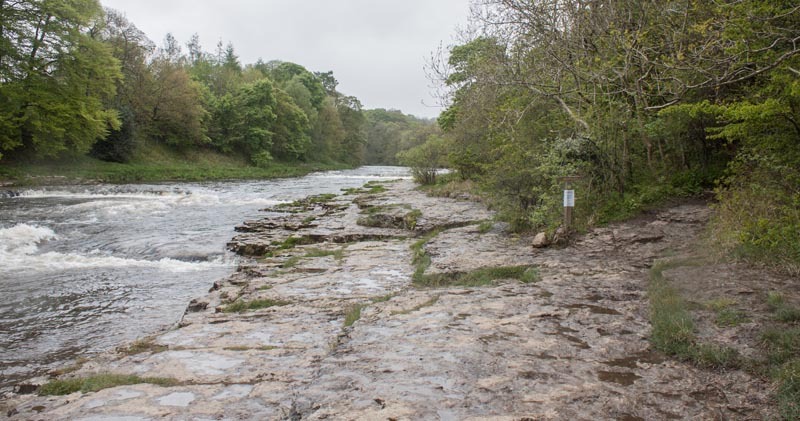 There is even more choice if you divert from the route and walk towards the main road at Aysgarth Falls. Turn left as you leave the car park to walk past the entrance to the castle (well worth a visit) and continue walking along the village street. At the far end of the village green bear right away from the road to follow the track pictured. 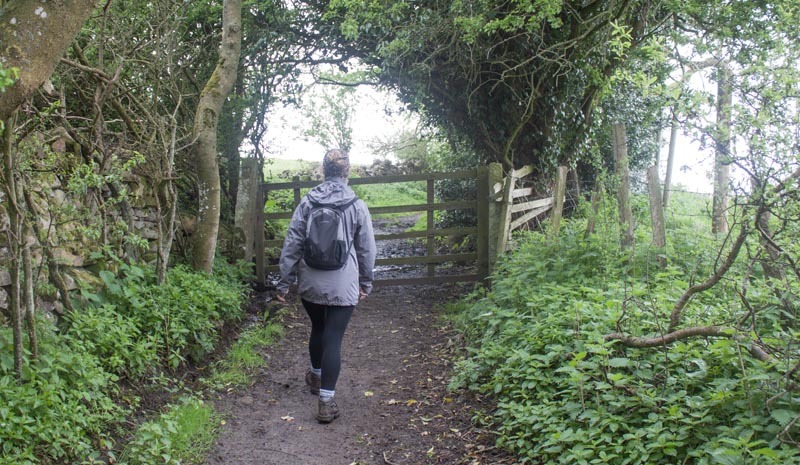 After only a few metres turn right following a fingerpost: Public footpath to Redmire. 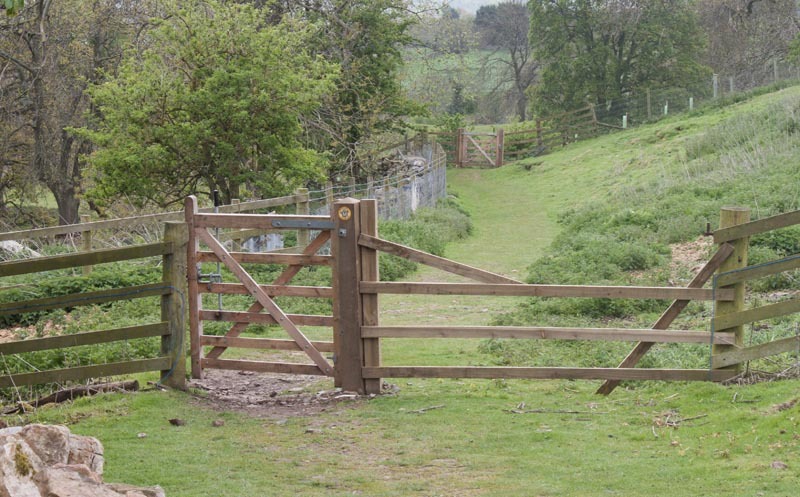 When you reach a metal gate across the track enter the field on the left by way of a kissing gate. 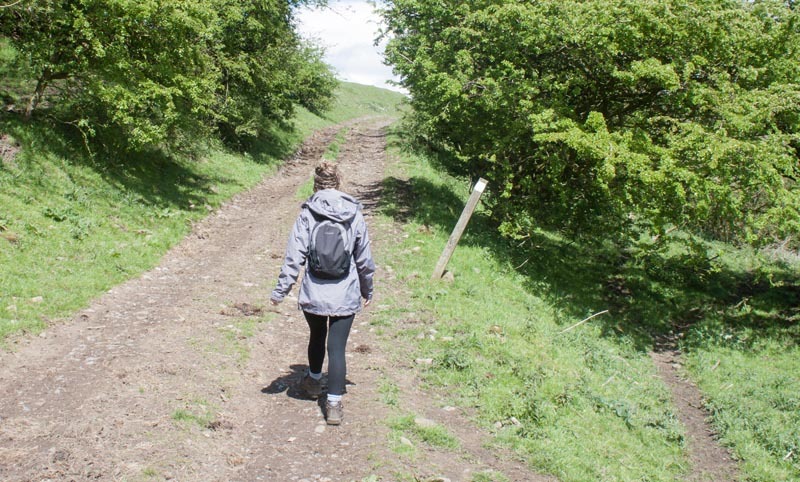 Walk downhill through the field. 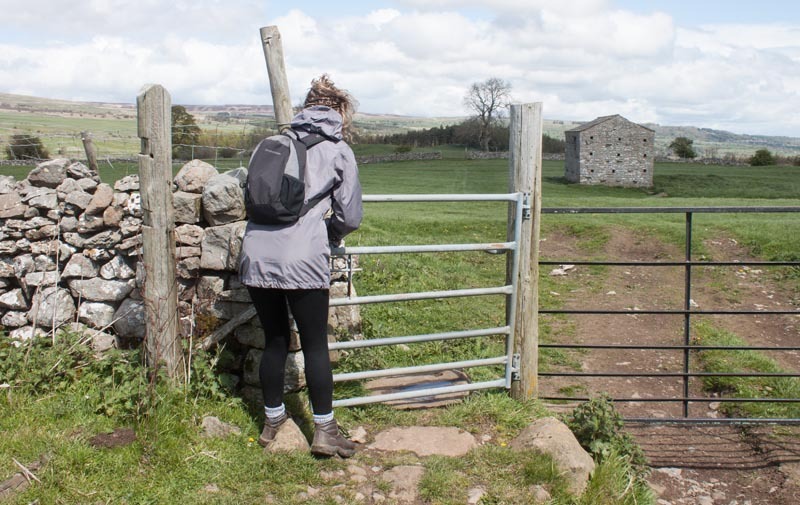 Enter the next field through a narrow Squeeze stile to the left of a metal gate (the gate was open when we completed this walk, so we didn't need to squeeze through the stile). 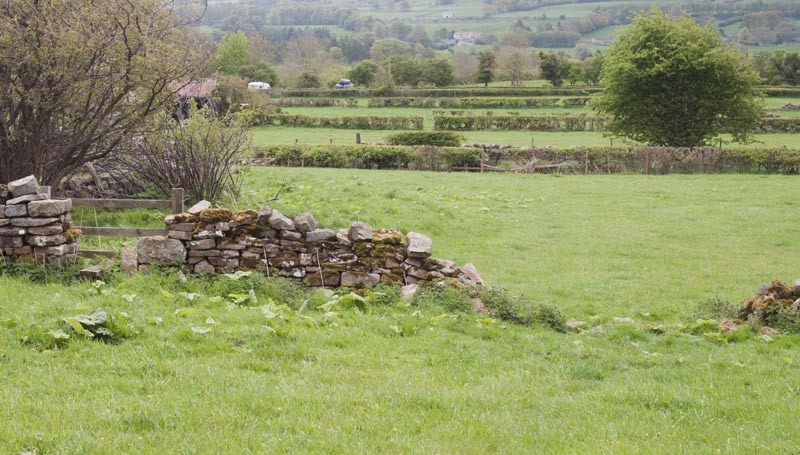 … before you reach the stile and broken wall. 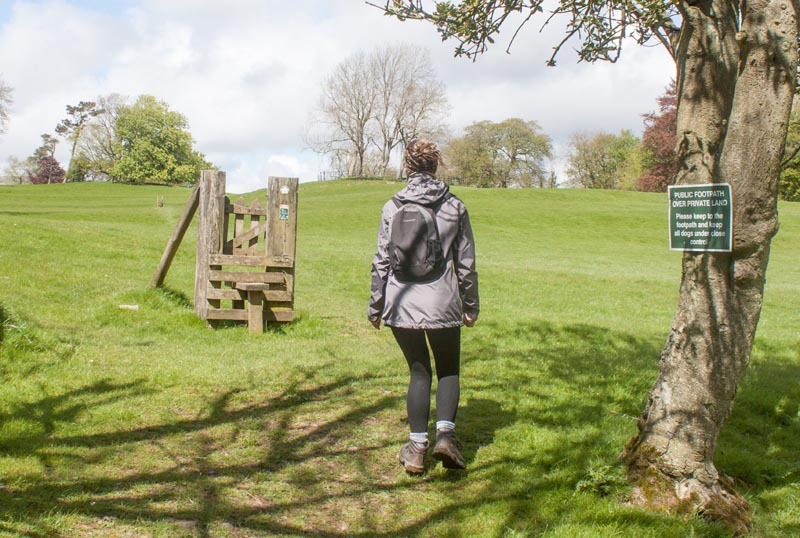 Cross into the final field before a gateway takes you onto the road. 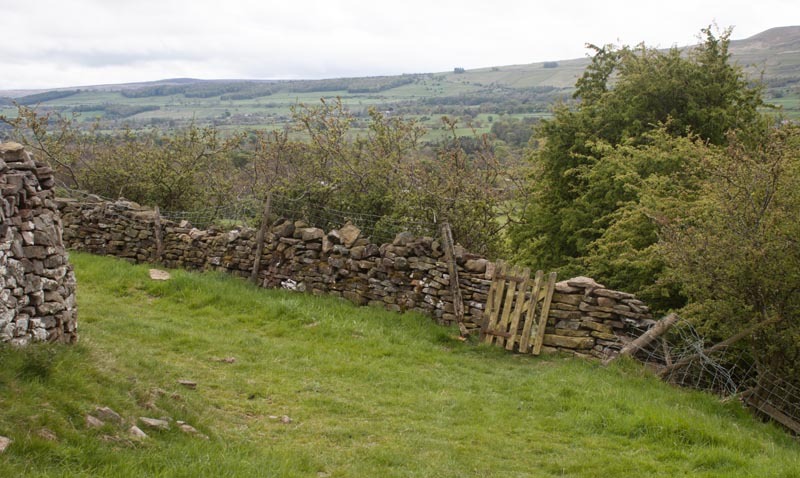 Walk down towards the stile in a wooden fence. 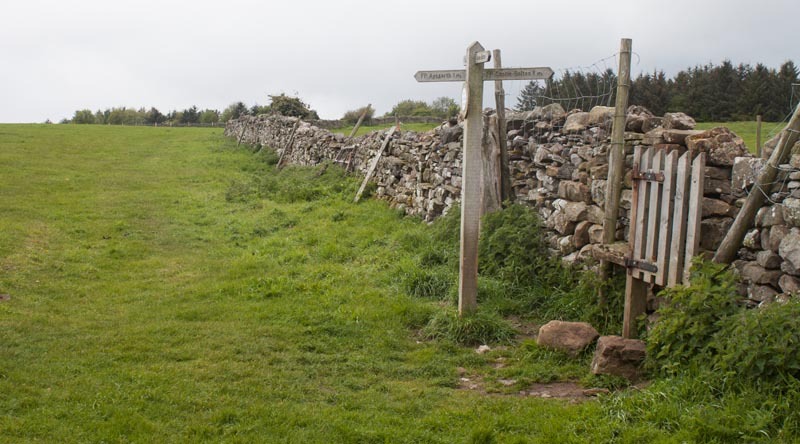 Once over the stile turn right along the lane towards the buildings at Low Thoreby. 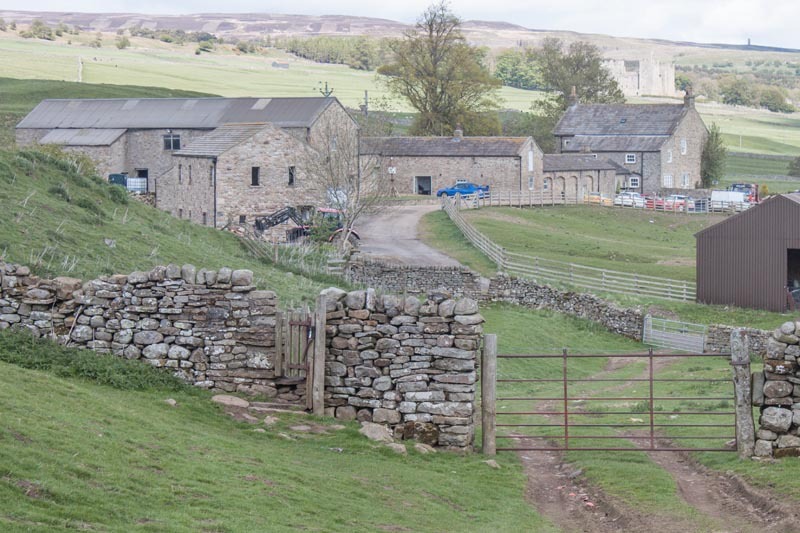 Once passed the building continue along the narrow lane (signposted for Carperby Low Lane and Aysgarth Falls). … a junction of routes. 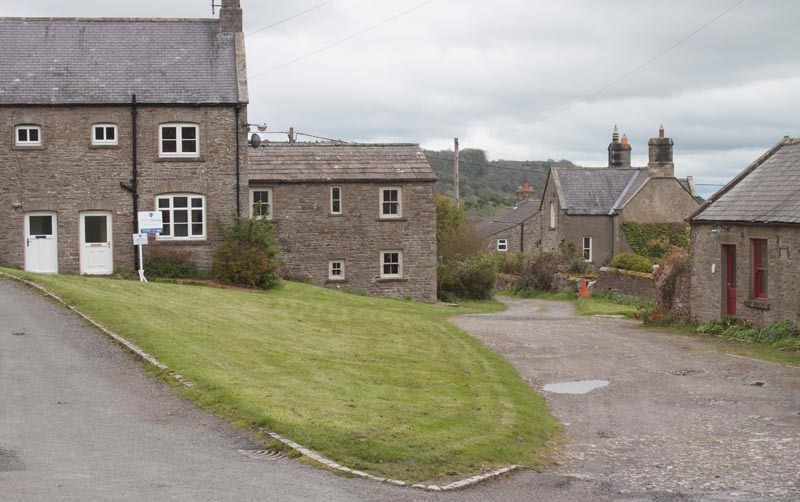 Follow the pointer bearing left signed Aysgarth 1 ML. 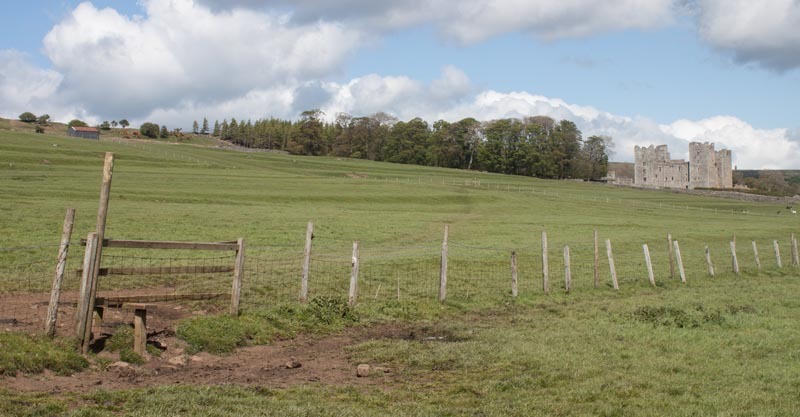 The route crosses the middle of a field - if the route isn't clear on the ground, head just to the right of a group of trees until you can see narrow wooden gate leading to the next field. 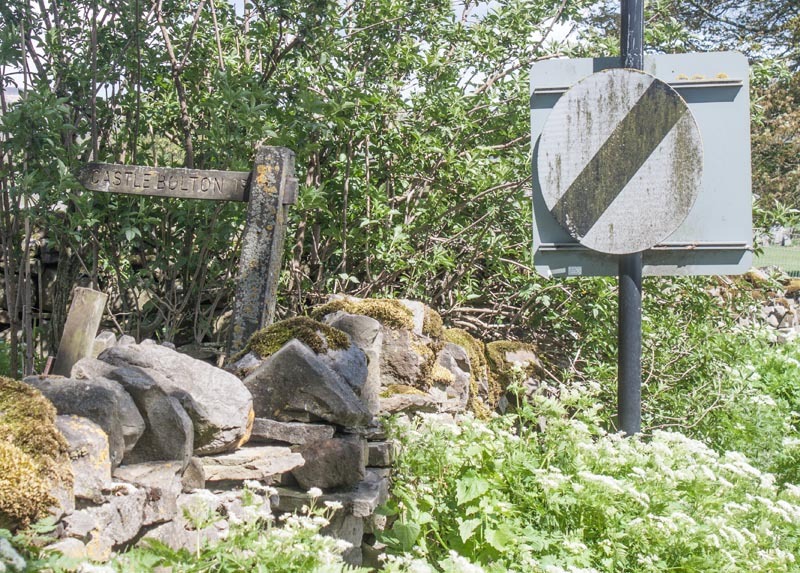 A sign by the gate indicates that you need to bear left for Aysgarth Falls. 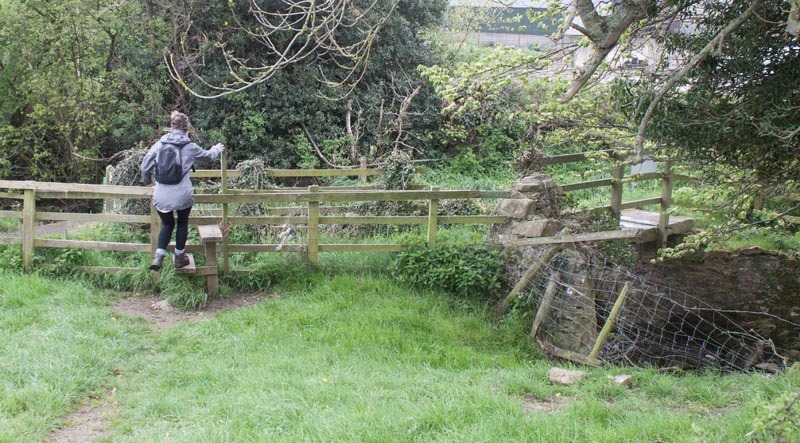 Walk alongside a wire and post fence towards another wooden gate. 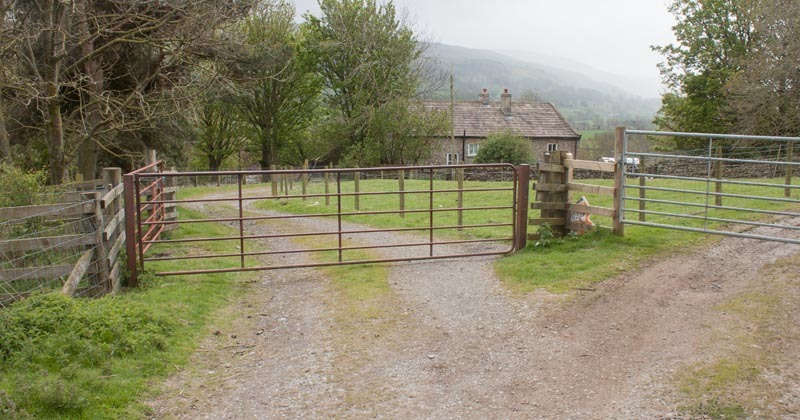 Once through this gate bear left along a farm track towards Hollins House. 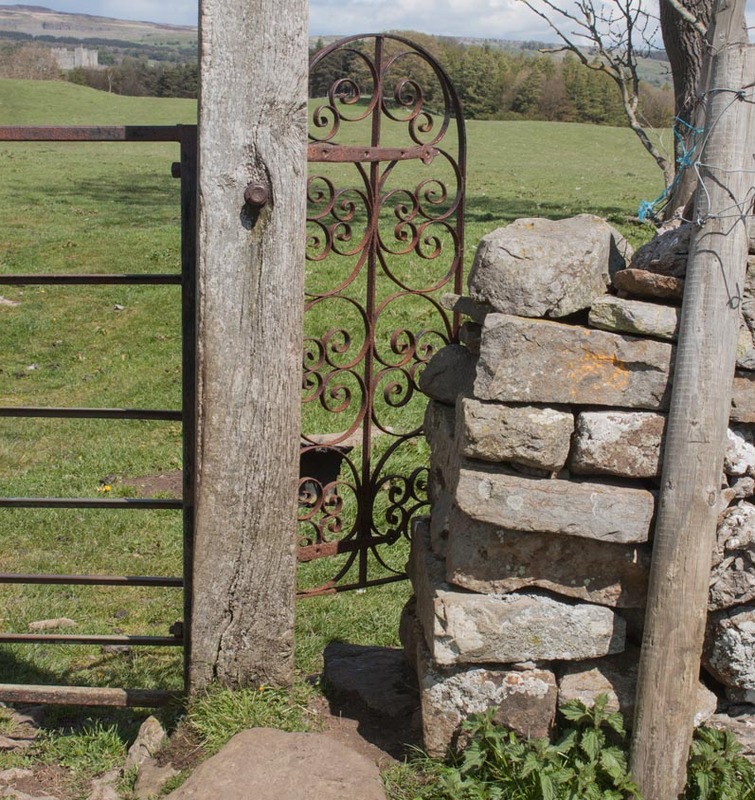 … another wooden gate. Follow the path until you see concrete steps leading down to the left. Take these down to …view the Lower Force. … steps down to Middle Force. 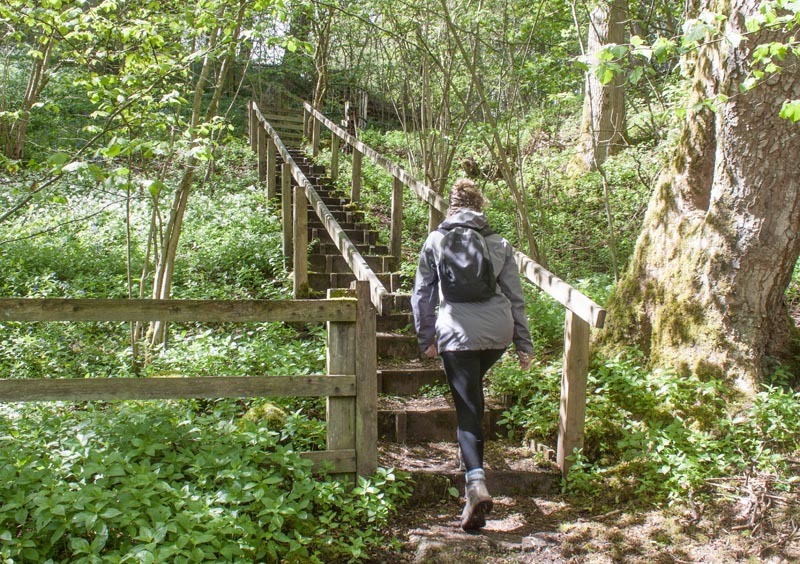 After viewing the fall return and follow the path through woodland. 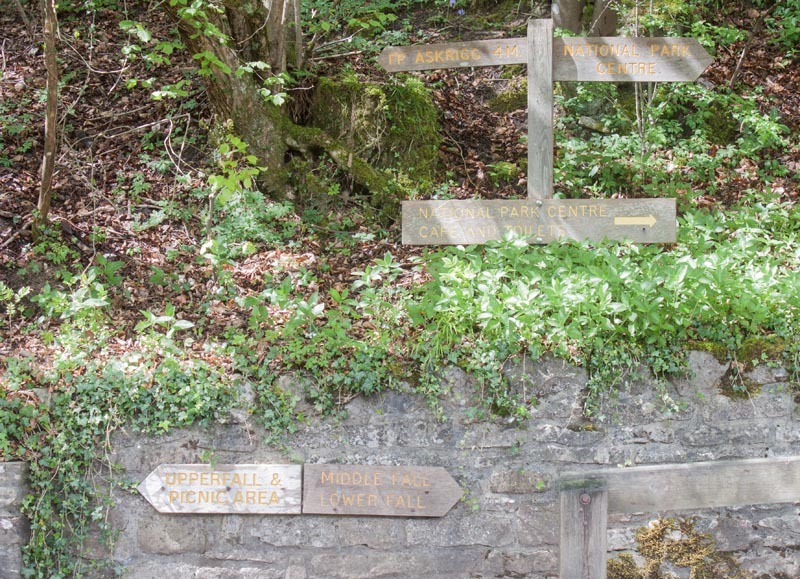 Leave the woods and cross the road then take the footpath to the car park by the National Park Centre. Walk to the far end of the car park and follow the path down to the river. Continue down to the bridge. 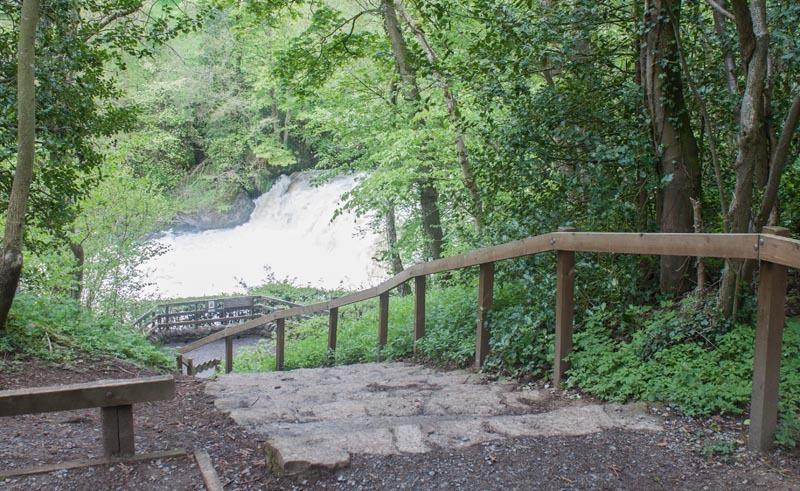 In my opinion the best viewpoint for the most impressive of the falls is from the bridge (though you can get a closer view if you pay to enter the private land alongside the falls). We carried on across the bridge to visit the craft centre - there is also a tea room. 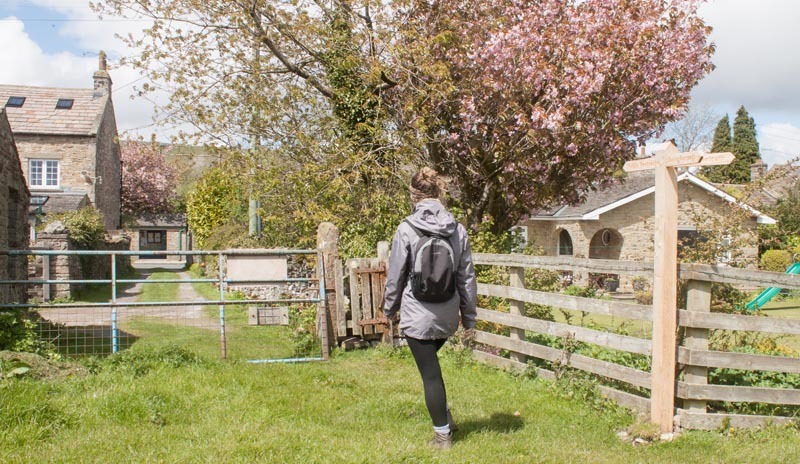 … to walk through open fields. 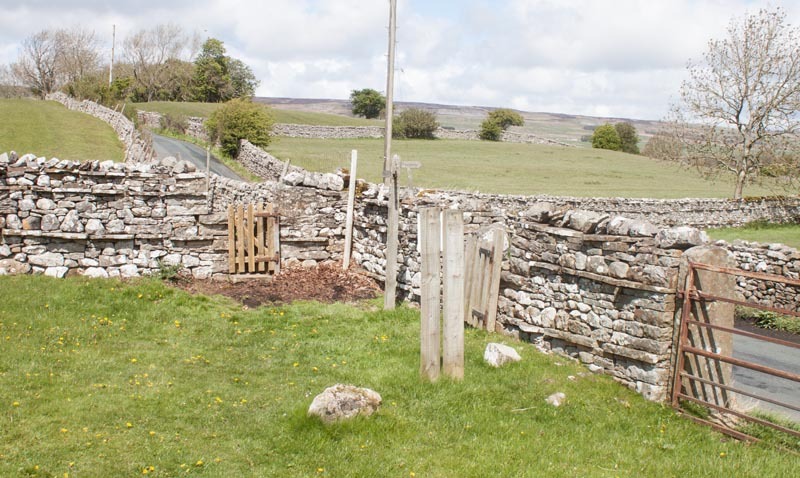 I don't know if the landowners expect you to climb the stile - but there is no longer any trace of a fence at either side! 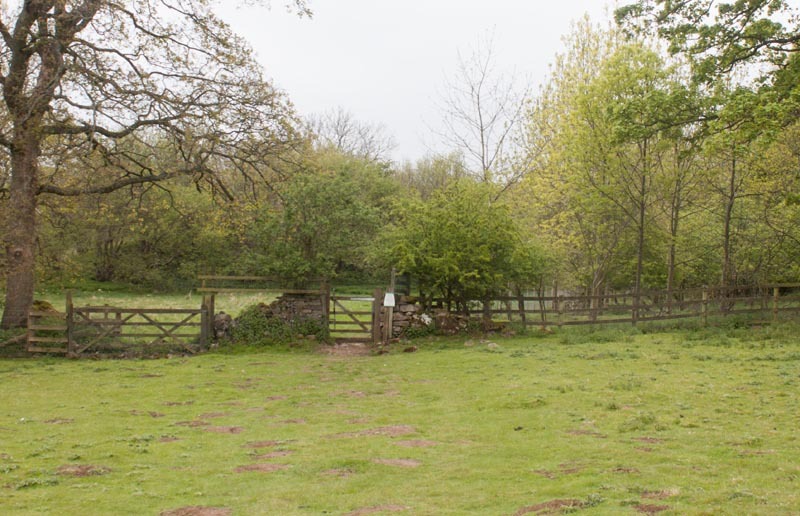 … a finger post on the right indicating Carperby Village ¼ML. 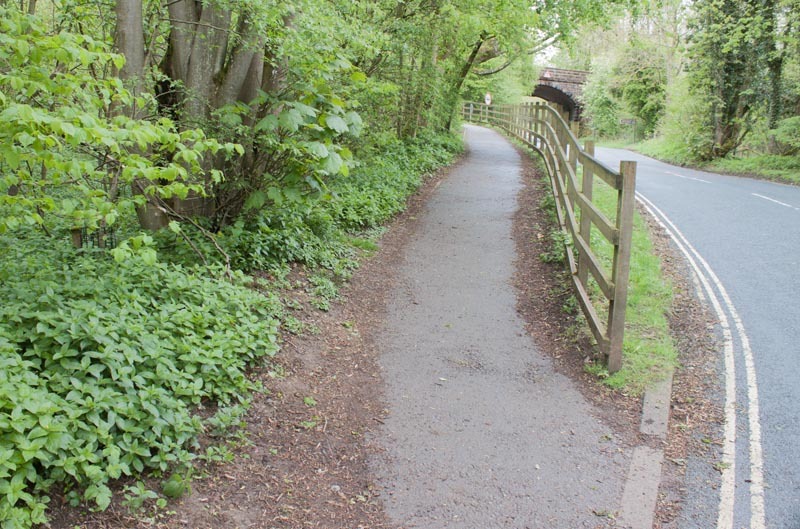 When we walked there was a notice attached to the post saying that there was an official footpath diversion. 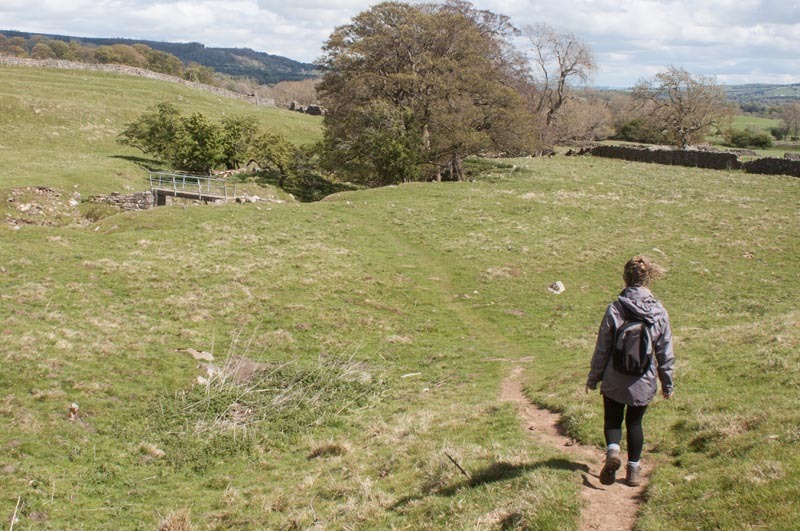 The new route wasn't shown on our OS map (nor on the online OSMaps application when we returned home). 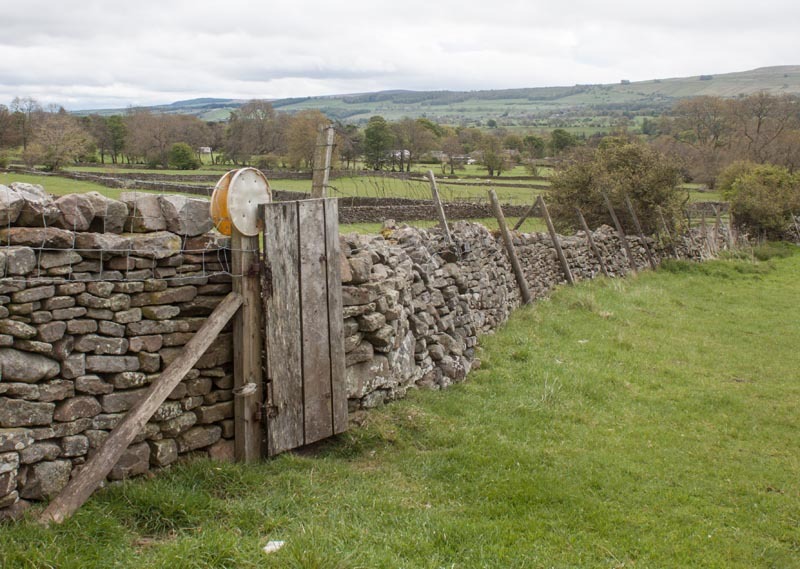 … a wooden gate at the far side of the next field. 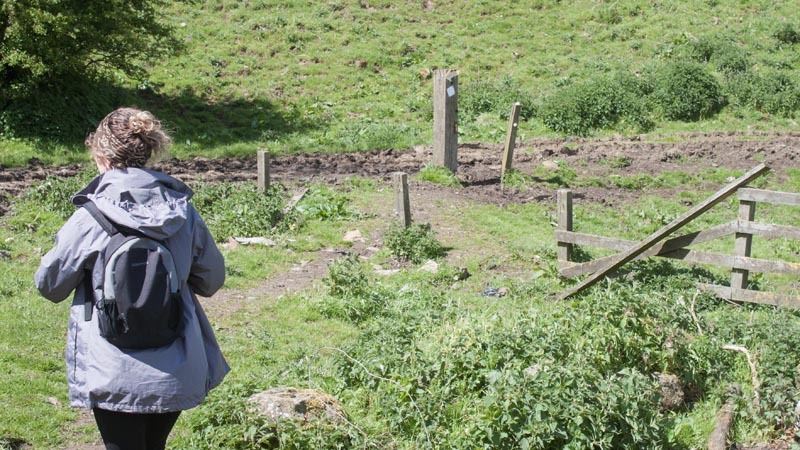 If we hadn't been able to see the gate, we would have had no idea where the path ran across the ploughed field! Once through the gate turn left, following the direction indicated by a finger post. 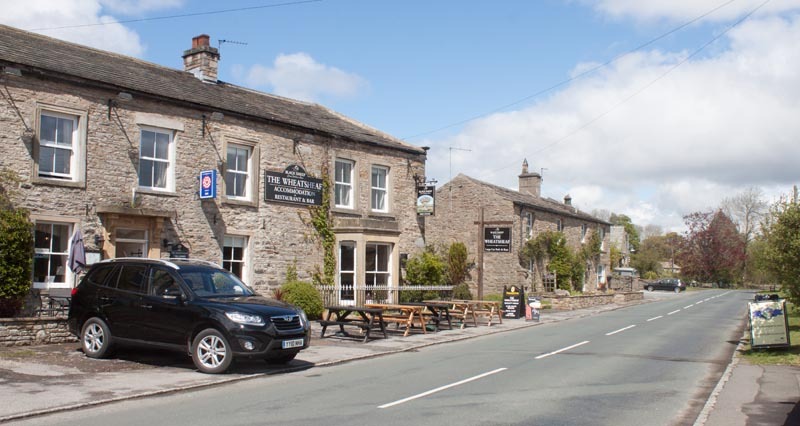 … along the road, passing (or calling in for refreshment at) the Wheatsheaf Hotel on your left. 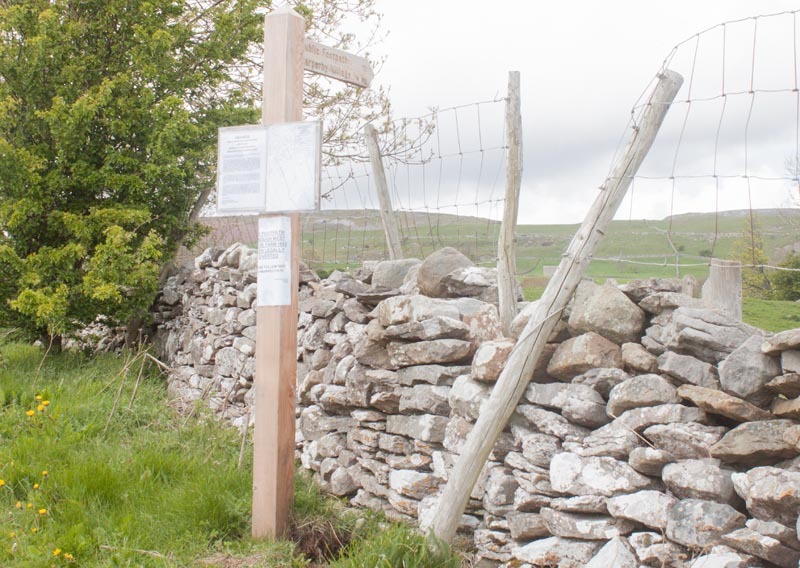 Continue along the road, passing an information board, pointing out some of the features of the east end of the village. 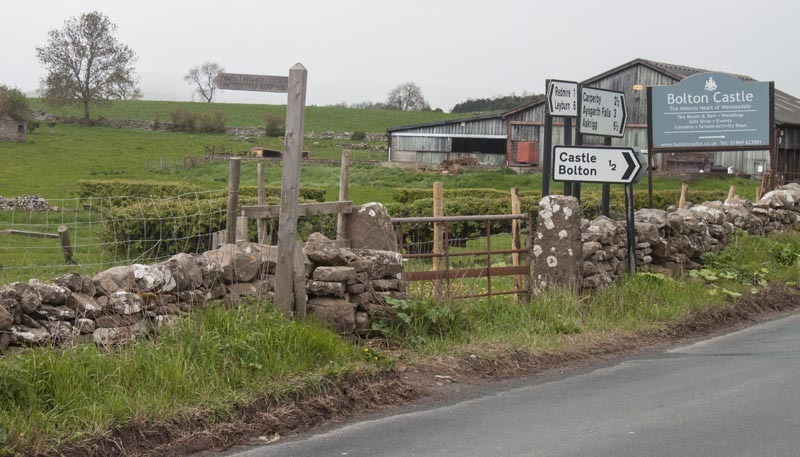 As you leave the village, follow this footpath sign on the left of the road for Castle Bolton. 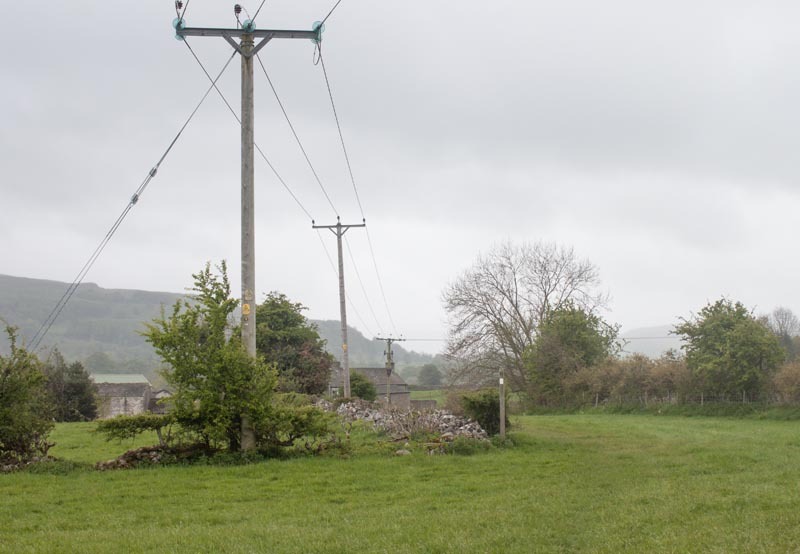 Walk down to the posts pictured and bear right. Join a track which lead uphill. At the top of the slope the track fades, but Bolton Castle is visible ahead. … including this - the most ornate gated tile that we've come across! 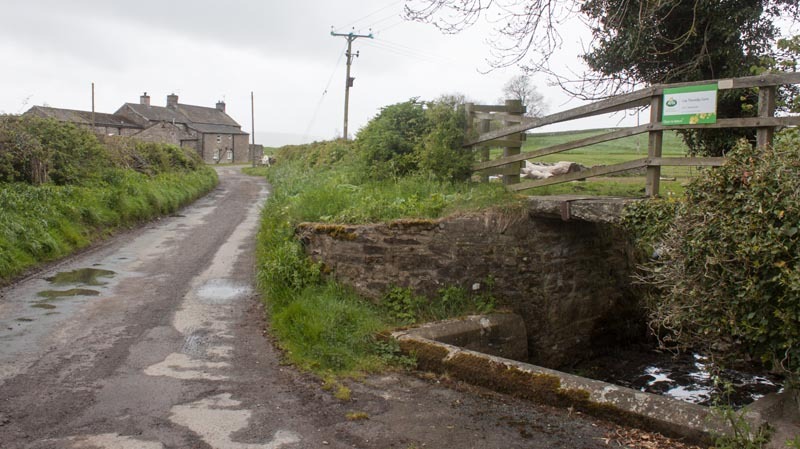 … crossing Beldon Beck via the footbridge shown in the photograph. 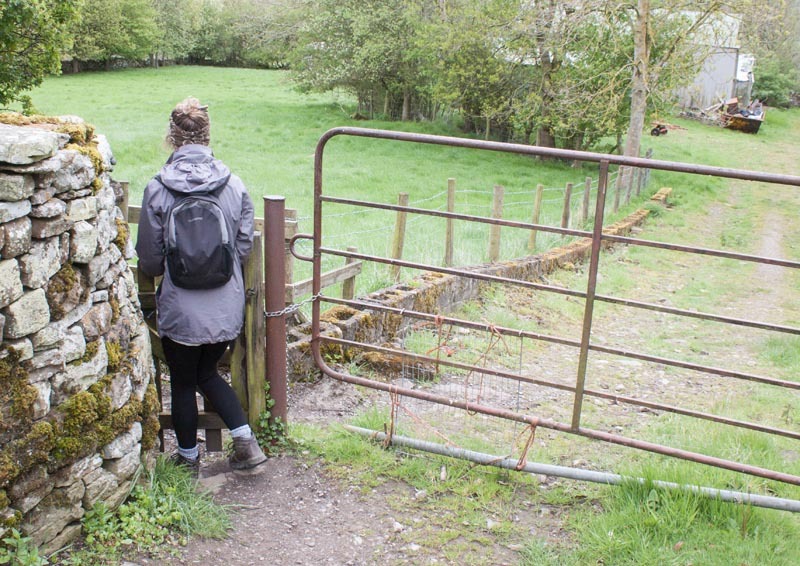 … until the final stile brings you out close to the castle car park. All text and images ©Graham Dean, June, 2015.